Donna understands the importance of performing funeral services and interments that are a memorable reflection on your loved one’s life. To lose someone you love is one of the hardest times anyone will have to go through. For some, the process is deeply emotional and upsetting. You need to know you are in good hands, with a celebrant who will take care of the running of the service efficiently and ensure it is exactly the way you want it to be. During the ceremony, you may want to reflect on memories, remember the good times, and pay tribute to the life of the much-loved person you have lost. You may want to include passages read by family and friends, poems, stories and personal goodbyes. Remember your loved one by playing music they liked, or songs of inspiration - there is no right or wrong at a funeral - just a personal ceremony put together in memory of someone you have loved and lost. A booklet of proceedings which outlines the service is given to everyone in attendance. Afterwards, the family and friends might choose to celebrate the person’s life with a wake - it could be tea and sandwiches, or a party that carries on into the night. This time is for the family and friends to support each other, and reflect on their memories. A funeral service is a way of saying good bye - as a group or as an individual with the support of others around. If you wish to book a service that is compassionate, heartfelt and loving, that reflects loving memories and celebrates the life of your beloved, just complete the enquiry form below and Donna will contact you to discuss your requirements. The funeral expresses the life and faith of the deceased while providing comfort and support to family and friends. 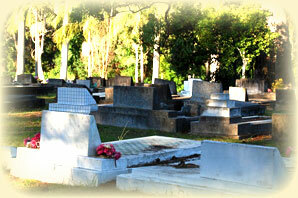 Funerals are arranged services designed to honour the deceased and help the family celebrate their loved ones memory. The funeral provides survivors with a foundation of hope and peace for their future. Funeral directors are trained; experienced professionals who assist families from the moment a death occurs until well after services are completed. Their work involves dignified care of the deceased while counselling survivors on designing services that fulfils their needs. The funeral director is responsible for organising all aspects of funeral services and providing families with choices and options. They are caring dignified people who help families organise all funerals arrangements and are responsible for every aspect involved in these services. Funeral directors are caregivers and administrators. They make the arrangements for transportation of the loved one, complete all necessary paperwork and implement the choices made by the family regarding the funeral. Funeral directors are listeners, advisors and supporters. Viewing is part of many cultural and ethnic traditions. Many grief specialists believe that viewing aids the grief process by helping the bereaved recognise the reality of death. However, it is for many a personal choice. Yes, a memorial service can be held prior and a viewing option is also available. When compared to other major life cycle events, like births and weddings, funerals are not expensive. A wedding costs at least three times as much; but because it is a happy event, wedding costs are rarely criticized. A funeral home is a 24-hour, labour-intensive business, with extensive facilities (viewing rooms, chapels, limousines, hearses, etc. ); these expenses must be factored into the cost of a funeral. Moreover, the cost of a funeral includes not only merchandise, like caskets, but the services of a funeral director in making arrangements; filing appropriate forms; dealing with doctors, ministers, florists, newspapers and others; and seeing to all the necessary details. 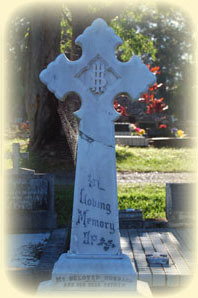 Many funeral homes are largely family-owned. What about the Costs? And can the family of the deceased control the total price of a funeral? Yes. The family has the ability to control the total price of a funeral. There is a wide selection of products and services at a varied price range. The costing of the service is completely the families’ decision.